Only two off spring have been shown so far. Together they have earned 4 World Championship Titles and 3 Reserve World Championship Titles. This great calf roping horse sire is enrolled in both the AQHA Incentive Fund and the Ranching Heritage. Call (254) 977-9133 for more information. This stud is in training with C.R. Bradley and showing lots of potential. His first colts are on the ground now and he has thrown a lot of gray colts. 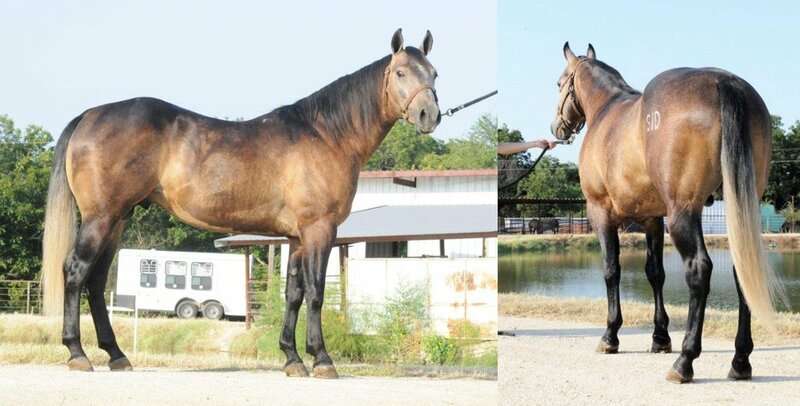 This sire is enrolled in both the AQHA Incentive Fund and the Ranching Heritage. Call (254) 977-9133 for more information.